Domestic passenger vehicle sales edged up 37.54 percent to 2,73,759 units in June this year from while car sales were up 34.21 percent at 1,83,885 units according to data released by the Society of Indian Automobile Manufacturers (SIAM). The domestic automobile industry produced a total 8,064,239 vehicles including passenger vehicles, commercial vehicles, three wheelers, two wheelers and quadricycle in April-June 2018 as against 6,919,414 in April-June 2017, registering a growth of 16.55 percent over the same period last year. The sale of Passenger Vehicles grew by 19.91 percent in April-June 2018 over the same period last year. Within the Passenger Vehicles, the sales for Passenger Cars, Utility Vehicle & Vans grew by 17.98 percent, 23.22 percent and 27.29 percent respectively in April-June 2018 over the same period last year. The overall Commercial Vehicles segment registered a growth of 51.55 percent in April-June 2018 as compared to the same period last year. Medium & Heavy Commercial Vehicles (M&HCVs) increased by 83.59 percent and Light Commercial Vehicles grew by 36.51 percent in April-June 2018 over the same period last year. Three Wheelers sales increased by 54.01 percent in April-June 2018 over the same period last year. Within the Three Wheelers, Passenger Carrier sales registered a growth of 64.48 percent and Goods Carrier grew by 21.35 percent in April-June 2018 over April-June 2017. Two Wheelers sales registered a growth at 15.92 percent in April-June 2018 over April-June 2017. Within the Two Wheelers segment, Scooters, Motorcycles and Mopeds grew by 10.35 percent, 19.47 percent and 7.27 percent respectively in April-June 2018 over April-June 2017. In April-June 2018, overall automobile exports grew by 26.73 percent. 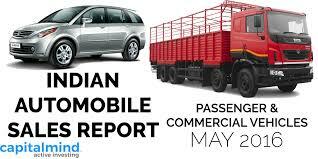 While Passenger Vehicles exports declined by (-) 7.37 percent, Commercial Vehicles, Three Wheelers and Two Wheelers registered a growth of 41.03 percent, 75.04 percent and 29.59 percent respectively in April-June 2018 over the same period last year. Nifty future is nothing but the index future where the underlying is the S&P CNX Nifty index.  In India, index futures trading started in 2000 in NSE. For Nifty futures contracts, the permitted lot size is 50, and in multiples of 50. Like other futures contracts, Nifty future tips contracts also have a three-month trading cycle - the near-month, the next month and the far-month.